MFDS RCPS Glasg. 2002, BDS Glasg. 2001, MB ChB Glasg. 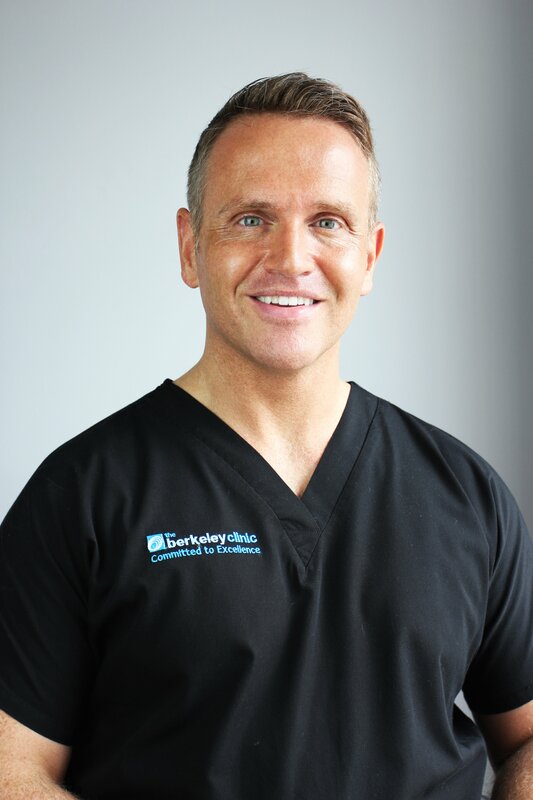 The Berkeley Clinic is extremely delighted to have Dr Greig McLean at the clinic, his knowledge, skills and expertise vastly benefit our patients and team members. If you are looking for a dentist in Glasgow Dr Greig McLean might be the clinician you have been looking for. Dr Greig McLean is a highly experienced dentist and medical doctor with a special interest in implantology, cosmetic and surgical dentistry. He also practices the treatment of anxious and phobic dental patients. Dr McLean has been involved in the implant dentistry and surgery since 2005. He has accumulated a wide range of experience working with the latest technology in dental implant systems and cosmetic dentistry. As a leading dental implant clinician Greig is often invited to train his dental colleagues on best practices and ways to place and restore dental implants. Dr McLean is a member of the International Team for Implantology (ITI), the Association for Dental Implantology UK (ADI) and the British Academy of Cosmetic Dentistry (BACD). We asked Greig where his passion for dentistry and dental implants comes from. He told us: ‘I graduated in dentistry in 2001 from the University of Glasgow with a BDS degree, and won several prizes for my elective studies in Maxillofacial surgery. In 2003 I obtained a membership of the Royal College of Physicians & Surgeons of Glasgow having passed my MFDS RCPS exam. I gathered a lot of experience in dentistry and surgery and as a result I was subsequently appointed as an examiner for the Royal College of Glasgow. Having worked in the field of Maxillofacial Surgery for several years, I decided to return to the University of Glasgow to study medicine. My key aim was to expand my medical knowledge and be able to offer greater expertise for my patients. I have gained an extremely valuable experience in clinical practice, human biology, anatomy, healthcare systems, therapeutics and clinical pharmacology. I graduated in medicine with a MB ChB in 2007. My medical degree from the University of Glasgow added an immense set of skills which continually help me deliver better patient care and dental experience. Having joined the Berkeley Clinic in the summer of 2013 and I am very proud to be a part of such a hardworking, caring, experienced and award winning team. Register with Dr Greig McLean at the Berkeley Clinic in Glasgow! If you are looking for a dentist in Glasgow register with Dr Greig McLean at the Berkeley Clinic. Contact our clinical team on 0141 564 1900 and book your appointment today.